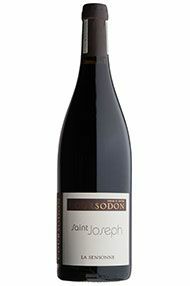 The Wine Advocate - The 2009 St.-Joseph La Sensonne, which comes from 55-year old vines, was aged in 75% new oak before being bottled unfiltered. This remarkable wine is a selection of the finest lots from Coursodons lOlivaie and Paradis St.-Pierre vineyards. Copious aromas of blackberries and cassis intermixed with hints of forest floor, acacia flowers, graphite and ink are followed by a wine with tremendous purity, a singular personality, and a full-bodied, massive yet perfectly balanced mouthfeel. If you dont mind committing infanticide, it can be drunk now, but 2-4 years of cellaring is recommended. This 2009 is capable of lasting two decades. It represents compelling, world-class St.-Joseph that sells at a remarkably fair price. Parker - Two of the finest St Josephs I have tasted over the last three decades include the 2009 La Sensonne and 2009 Le Paradis St Pierre. The 2009 St Joseph La Sensonne reveals fabulous richness along with a strikingly fragrant bouquet of ink, lead pencil shavings, black raspberries, cassis, incense and powdered rocks. Deep and full-bodied with superb texture, purity and a singular personality that gives the wine a riveting appeal, this is a compelling St Joseph to drink over the next 10-15 years. 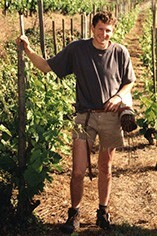 One of the finest young producers in the Northern Rhône is Jerome Coursodon. His 2008s are competent efforts, but his 2009s are among the most prodigious St. Josephs of the vintage.